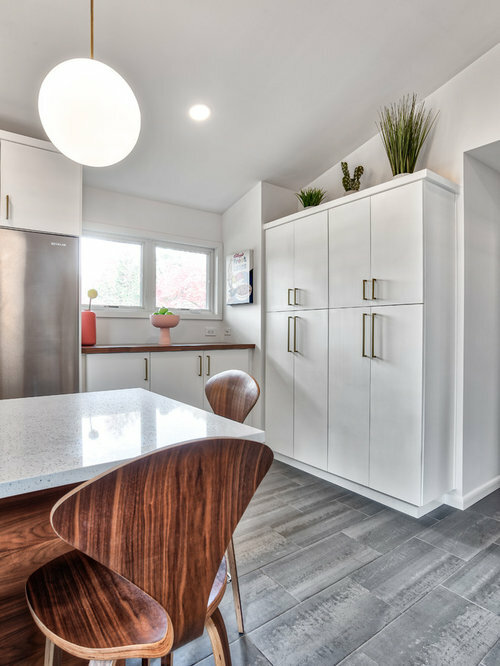 We brought this original 1960's kitchen back to life with a modern twist in a mid-century modern home. We made this an open concept by opening the wall between great room and kitchen, adding an island, and raising the ceiling. 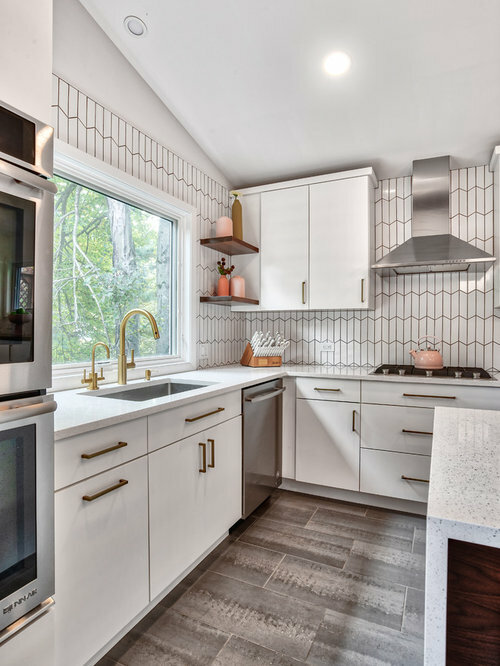 Finishes include: bright white cabinets with walnut island, quartz counter top, white chevron backslash, slate-look tile floor, gold hardware, and stainless steel appliances. The shower was enlarged in the master bathroom for a larger space and the black and pink vanities with brass hardware bring this dressing area and bathroom to life. We took the wall down that originally divided these two rooms, combining them to make one beautiful dining/kitchen area. Photos by Chris Veith. 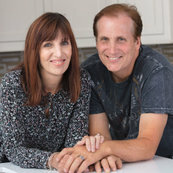 This kitchen was redesigned with the houses style and homeowners taste in mind. 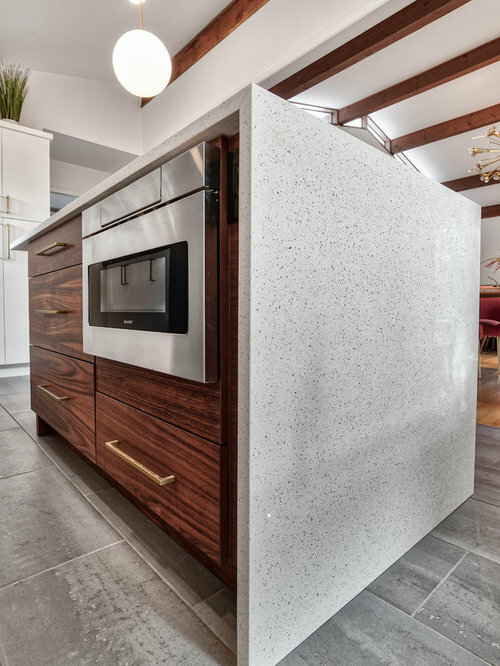 The sleek cabinets pair well with the walnut island and shelves and the brass accents give it that modern feel. Photos by Chris Veith. 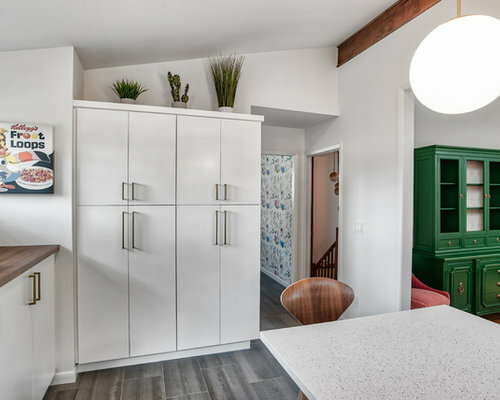 The corner of this kitchen used to hold a small kitchen table but now it has been transformed to be extra storage and counter space. Photos by Chris Veith. This kitchen/dining space leads into the front hallway and into the homes laundry room. Photos by Chris Veith. 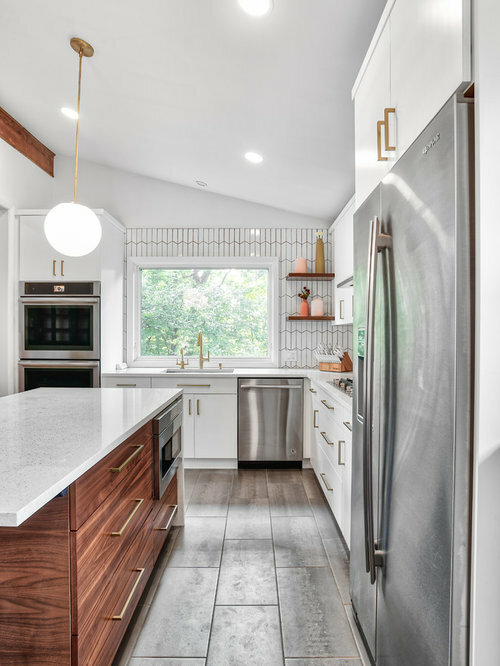 The brass hardware on the walnut island really brings out the colors. 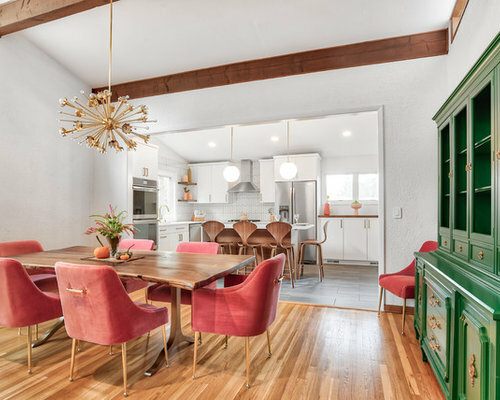 A look at this perfect kitchen from the pantry. Photos by Chris Veith. A close up look at walnut shelves that add character to the modern style cabinetry and hardware. Photos by Chris Veith. 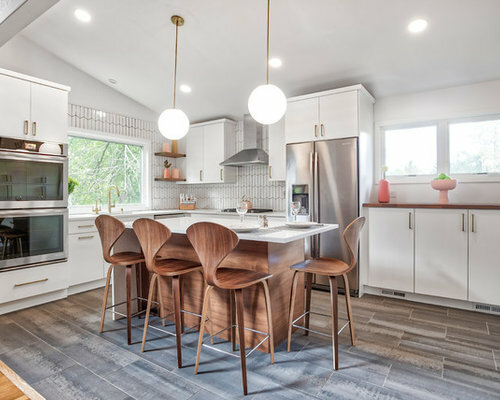 This waterfall counter-top and hick pendant lights with brass adds a really beautiful touch to this walnut island. Photos by Chris Veith. 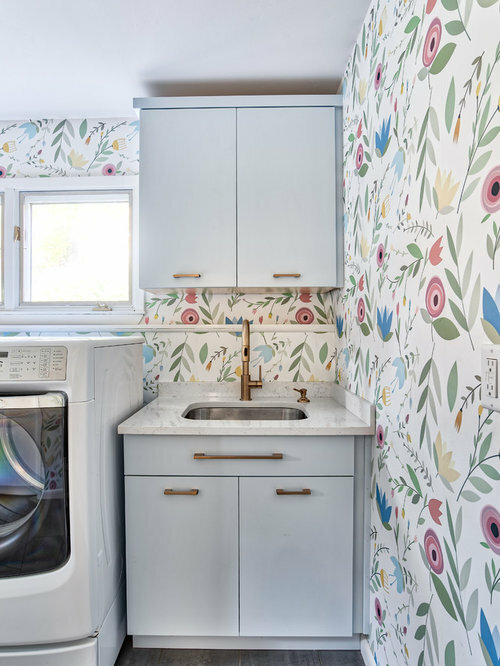 This baby blue vanity in combination with brass hardware and floral wallpapaer makes this room feel light, spacious, and inviting. Photos by Chris Veith. 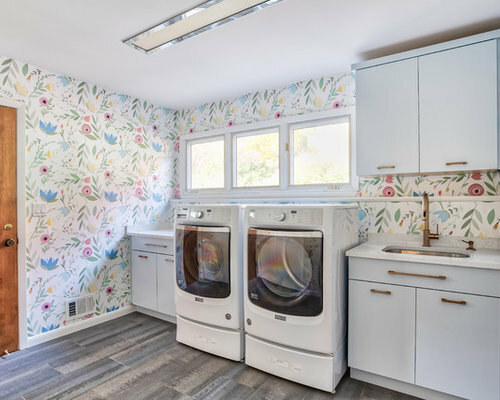 A full look at the laundry room, complete with a folding area and cabinet strorage. Photos by Chris Veith.